Simply Peel and Stick onto any smooth surface: Walls, Furniture, Mirrors, Tiles, Lockers, Book Covers, Cars…. The applications are as endless as your imagination! with no damage and no residue to the surface. Washable. RoomMates use a micro-sphere technology that guarantees the product will adhere to the wall, yet remove effortlessly, leaving no backing or adhesive residue. 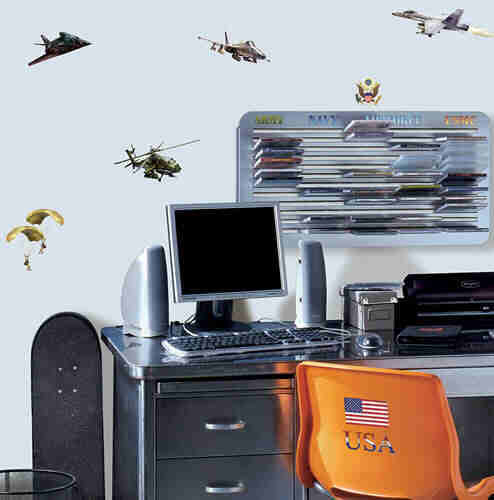 This unique, repositionable adhesive allows for limitless decorating options.